I've been having a little fun over the holidays thinking about different ways in which judicial decision-making is conceived. This blog briefly examines external influences on decision-making implicit in some traditional conceptions and suggests representations of the legal judgment process could use an updated model. One alternative considered below is Schrödinger's Cat, a well-known analogy in physics that has achieved a kind of pop culture status, see here. I suggest that adapting a version of this comparative model to law provides a modern conceptual framework that better describes how judges function to preserve indeterminacy, to enable their impartiality in decision-making. There is a long historical connection with the belief that judging in law involves divine intervention. For example, compurgation involved the recitation of a long passage by a potential witness, typically religious text from the Bible. If someone misspoke, it was evidence that God had interceded to trip the tongue of the prospective witness, so that everyone would know they were lying. Compurgation has long been abandoned, but the belief that a person's verbal missteps or assuredness can reveal something about the truth of their testimony remains a potential powerful influence in all assessments of human behaviour. In legal proceedings, elements of using behaviour to judge the quality of testimony is, in my opinion, related to the modern discussion in law about 'demeanour evidence', which has vexed Canadian courts, see e.g. here. 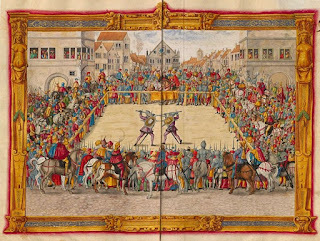 Other divine involvement in past legal procedures were thought to occur in trial by combat, made popular in recent times by its depiction on television in the Game of Thrones. There two disputing parties were set directly against one another in a physical confrontation. The winner was the champion whose cause was just and victory showed them to be 'favoured by God'. 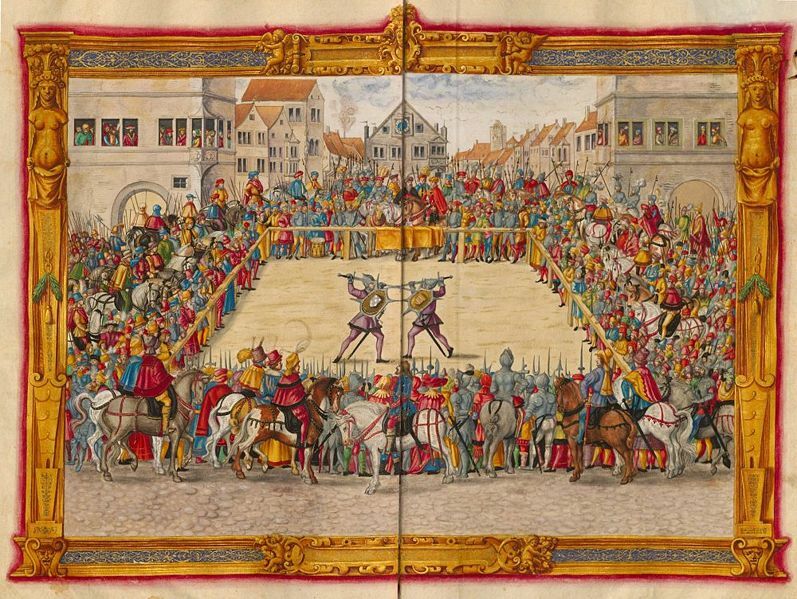 The only weapons used in today's court battles are words, legal reasoning and persuasion based on evidence (though invoking the right to trial by combat in modern times has been attempted, see here). But adversarial advocacy, rooted in past tradition remains an integral part of the modern legal system. Perhaps most importantly, the adversarial approach to law lets judges maintain impartiality to receive and assess opposing arguments, the relative merit of which remains finally undetermined until judgment is rendered (1). The above examples all focus on past instances from the Natural Law tradition. However, other legal theories also include descriptions of judicial decision-making that incorporate significant external considerations. For example, Formalism took legal rules derived from precedent to be knowable, universal principles, that could be determined and applied in subsequent cases. Even here though, the Formal model was not legal, but rather sought to mimic the scientific method and process. By comparison, the core criticism of legal Realism was that judges manipulated legal principles to do, outside of the law, what they instead intuitively or subconsciously felt was 'right' in the circumstances (2). While relying on things outside of law, many theories also tend to diminish the role of indeterminacy in the course of decision-making. In proceedings, ideally arguments advanced by independent advocates are held in suspension until judgment, as an aspect of the adjudicator's impartiality. In this characterization of judicial decision-making, the ambiguous outcome of a legal dispute is an uncertainty that is necessary for a judge to maintain an independent mindset. I would say that the inherent indeterminacy identified here also lies at the heart of law and legal systems and forms part of what Jeremy Waldron has identified as the "essentially contested" nature of some law, or what Neil McCormack described as its "arguable character"(3). More specifically, only at the conclusion of a particular legal dispute do parties know the outcome of their proceeding. 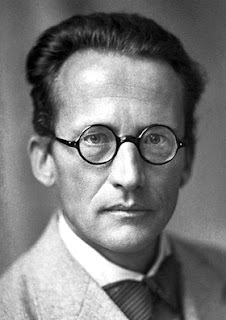 In this way, rather than divine intervention in a trial, or scientific methods, or something else, a better comparison for adjudicative decision-making is the modern physics metaphor of Schrödinger's Cat, which describes quantum uncertainty, but can be adapted to describe the judicial function. 5. Why Not 'Schrödinger's Judge'? Schrödinger's physics experiment attempted to explain the seemingly bizarre operation of quantum mechanics. Imagine a cat placed in a box with a device that could, completely randomly, cause its death. As an imaginary exercise this experiment was of course not real. As I understand it, the cat was in fact a symbol for the uncertain behaviour of an elementary physical particle. The point about opening the box was that the act of observation might itself have a determinative effect on the outcome of what the particle, as symbolized by the cat, would do. Until observation the particle was theoretically in two possible states - ie, the cat was both dead and alive at the same time. Adapted to law, a similar thought experiment could also be used to illustrate the process of judicial decision-making in a legal proceeding. Here, I imagine the judge's mind is like the box in Schrödinger's metaphor. 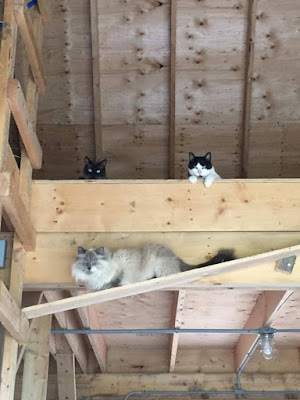 The state of the cat is like the final determination or judgment, which remains necessarily indeterminate while the adjudicator hears both sides of an argument. That is, the final state of the legal argument before the Court remains unknown, and is possibly both meritorious and unsuccessful at the same time. Only when the box, or here the mind of the decision-maker is opened to crafting a judgment, are the determinations of the judge revealed. As a representation of judicial decision-making, my proposed metaphor of 'Schrödinger's judge' does not rely external factors or interventions. As a symbol of the judicial reasoning process, the metaphor also better respects the ideal and necessary indeterminacy that exists in adjudicative decisions, described above. Despite the emphasis in modern legal writing on law's predictability, see eg Waldron's paper on this here, at 9, there always remains some potential ambiguity about the application of legal principles to factual circumstances. But more importantly, the uncertainty of law in proceedings being heard by a judge is an essential part of the way that decision-makers maintain their judicial independence. Instead of relying traditional approaches to judgment that seem subject to outside influences, and don't acknowledge the role of legal indeterminacy, we should update the model. Not sure how far this analogy might be taken, but its been an entertaining summer diversion to think about these comparisons. If we want to modernize our justice system, maybe we should start with updating our descriptions of legal processes like decision-making. In other words, in law, why not Schrödinger's judge? 1. As Lon Fuller asserted in his well-known article on "The Forms and Limits of Adjudication" (1978) 92 Harv L R 353, esp at 357. 2. On these two approaches and other concepts of law generally a good background is available online at the Stanford Encyclopedia of Philosophy. 3. See Rhetoric and Rule of Law: A Theory of Legal Reasoning, (Oxford: Oxford U P, 2005). In my PHD dissertation I looked at both of these as part of what I identified as a primary constitutive tension in law, of 'inherent indeterminacy', see Between Principle and Practicality: A Dynamic Realist Examination of Independence in the Canadian Justice System, at Chapter 2.